Small fascinator bow, with feathers and a merry widow 3/4 face veil. Can be made in any colour. 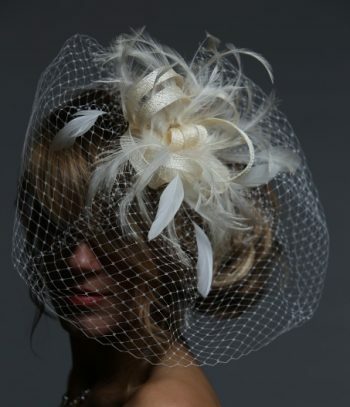 A small looped fascinator bow, adorned with feathers and a merry widow 3/4 face veil. 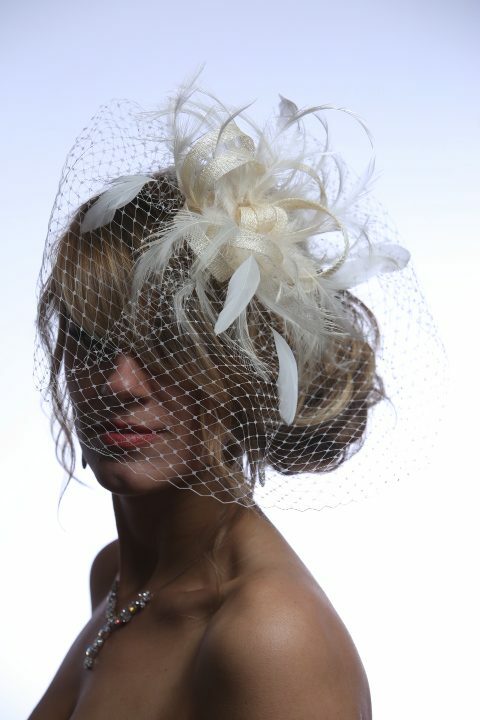 The Amy design can be set on a clear plastic comb or a slim gold or silver headband. Of course all our styles can be customized and for a small extra charge we can add rhinestones, extra feathers, a highlight feather colour or even a different type of face veil. We specialise in creating unique fascinator designs to make you stand out from the crowd, and enhance your fabulous outfit without overshadowing it. Copyright © 2019 Maighread Stuart Millinery - All rights reserved.